Decomposition of copper carbonate, 1 of 3. 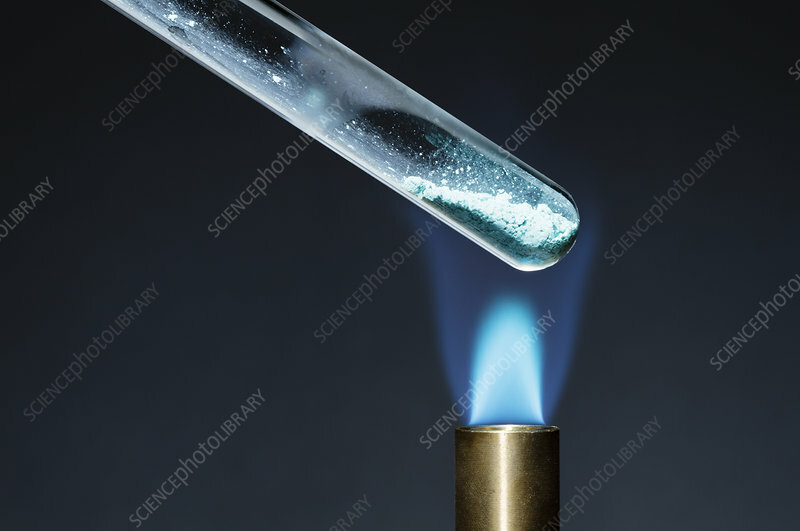 A test tube with copper carbonate (CuCO3) is placed over a Bunsen burner flame. When heated, pale-green copper carbonate turns into black copper oxide (CuO) and carbon dioxide (CO2) gas. This is an example of a decomposition reaction: CuCO2 -> CuO + CO2.